The painting “The Path’s We Choose” is painted in oil on wood at a total size of 24×60 inches. If you like to commission a frame I can either created a Shadow Box Frame or a Mixed Frame for this piece. This painting is inspired by a real dreamlike scene in Savannah’s islands. 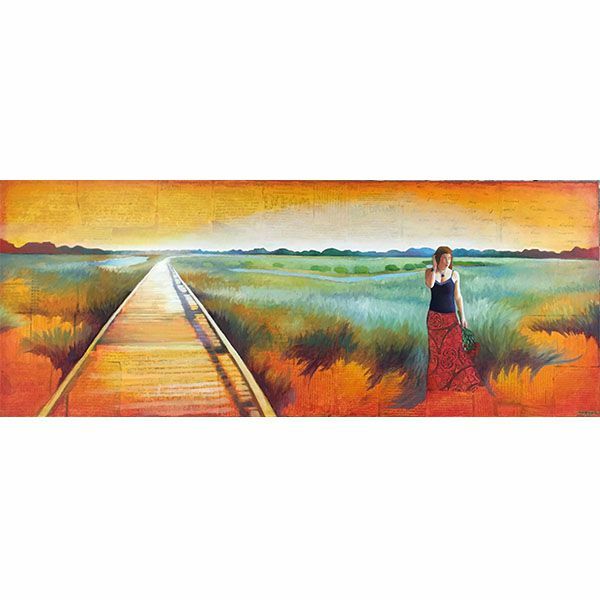 The painting’s board walk in a metaphor for the path of life and the female figure is a personification of taking a step off the path of life to reevaluate one’s path and reform trust in one’s choices.